Getting your name in the media is like gold when it comes to exposure, and exposure drives sales. 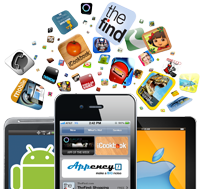 Our relationships with mass media outlets and app bloggers help us cast the spotlight on you and your app. We're appy to talk to you!